#PotterBinge is underway, and while I'm currently on to the second book, I thought I'd share a few thoughts on the first one. These are just quick, fun, bulleted reactions upon re-reading in inspired by Katie from Words for Worms. 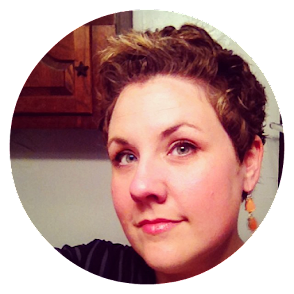 I expect I'll get more thoughtful as the books get darker and more complicated. 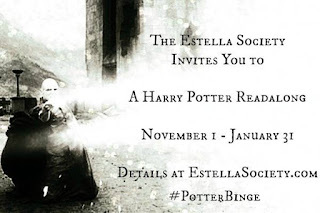 If you haven't yet jumped into the #PotterBinge: A Free Range Readalong, you can check it out right here at the Estella Society. We're reading whenever we feel like it through January 31, 2016. I never get tired of Dudley growing a pig tail. I want to try all the wizarding sweets on the cart! Is that a sausage in your pocket or are you just happy to see me, Hagrid? Note: it was actually sausage. I'm a Ravenclaw all the way. A friend called me Hufflepuff this weekend and I almost came out of my chair. Just one ride on a Gringotts cart! Just one evening in the Gryffindor common room! The first time I read the book, I totally didn't get that "Erised" is desire spelled backwards. Womp. One of the things I love most about these books are the quirky names. How did she come up with these? Visit the Facebook group and add your own post! I need to make the time to reread these books - I bet I'd discover a lot of things I missed the first time around. I've re-read them here and there over the years, but never the whole series all at once. I think I'll probably see a lot of connections I never noticed before. I know how that goes. Since Greyson splits his time between his dad's house and mine it does leave some down time to read. We'll see how quickly I can work through them! I read these all at one go back when I was in a K-6 school library and mentioned to a student that I'd only read book one of HP. Oh my gosh. The pressure. Once it got out that I hadn't read the whole series, every kid in the school was aghast. I had to do something. I waited until the last book came out and then I read and read and read and read. One after the other. Aaaaghh!!! So fun! David counting down the days until Greyson will let us read these aloud with him. My coworker said Book 5 is the one people either love or hate. Agree? She loves book 5. No spoilers here, I promise. Book 5 does seem to be one that people love or hate. I didn't love it the first time I read it, but upon re-reading I liked it a lot more. Yeeeeeeeeeeeeeeesssssssssssss! Dudley's pig tail never fails to amuse me. I love this format, it lets me get inside Andi's head. RAVENCLAW FOREVER! LOL, yes indeed! And I stand corrected. Pottermore says I'm Gryffindor! I'm still on the first one but. I expect my reading to pick up next month while on vacation. And how wonderful it will be to spend a little time in the Gryffindor common room! Amen sister! Wouldn't that be the coziest best place? I just did a re-listen of the whole series over the last year. Hurray! Ohhhh, yes! A Hogwarts feast, in the Great Hall in all its gorgeousness, would be amaaaaazing! Yes! The pig tail always wins. I'm getting the illustrated book 1 for Christmas so I'm holding out starting. So hoping my 5 year-old wants to read with me! Oh gosh! The illustrated looks amazing! Enjoy! Oh, how I need to read these again. Actually, I need to finish the series! I've read the first five, but never felt the desire to read any further. I don't even know how it ends since I've stayed away from spoilers (and the movies), just in case I get the inclination to read the remaining books. I love the audios, so maybe I'll have a little listening marathon, especially since I am so not enjoying The Martian. Don't know what my problem is. Everyone raved about that book, especially on audio, but I'm bored to tears!! Have a wonderful Thanksgiving, Andi! I'll be at work bright and early on Black Friday and then it's Christmas madness. I'm counting the days until Dec. 24th when we wing our way to Oregon for a week of R&R. It can't come soon enough! #PotterBinge is such a great name for this event. I just re-read them all last year so I'm not sure that I'm going to re-read them again (even though I just watched all the movies again and I REALLY want to) but I never get tired of talking about all things HP. I only just now, reading this post, realized that Erised is desire backwards. Earlier this year my friend had a Harry Potter themed bachelorette (obviously) and we were assigned rooms in the dorms. I was put in Hufflepuff and since I'm CLEARLY A RAVENCLAW I had to fight for things to be righted. I'm not sure I've ever been more offended. I've been pondering how a reread review might work for these books - I like your free-range thoughts idea. Dudley's tail is a brilliant piece of comedic slapstick! Confession: I have read these books at least a dozen times and I totally did not make the Erised connection until you pointed it out. Gah! !